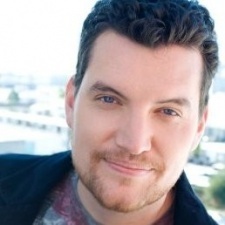 Phil Ranta is head of creators at Mobcrush. Prior to this he managed online talent at Fullscreen. Subscriber and follower data is dead. It was a matter of time. Viewers are far more likely to subscribe than unsubscribe, which means it’s just a metric of how many people liked you historically, not how many like you now. Viewership data has always been uneven. Yesterday I half watched a rerun of ‘Friends’ and lean-in, hang-on- to-every-word watched an episode of ‘The Americans’ (I know…I’m behind…) If I was watched these on YouTube there would be two very different levels of engagement yet both would register as one view. In the YouTube Studio beta, now accessible through all YouTube accounts within Creator Studio, you can access a metric called ‘Impressions’ (in the ‘Reach Viewers’ tab within ‘Analytics’). And it is everything. But there’s no other word for a title and thumbnail on YouTube that perfectly demands to be clicked, then leads to content of incredible value. For the purposes of this writing, I’ll call it being ‘clickworthy’. The ‘Impressions’ metric shows how many times your thumbnail was seen by a viewer. The ‘Impressions’ click-through rate’ measures how many times a surfaced-thumbnail results in a video view. In other words, impressions data tells the story of how well your content indexes within the YouTube algorithm and whether viewers who saw your thumbnail and title deemed them ‘clickworthy’. YouTube viewership, more so than television, is driven by deliberate choices. When you launch a primetime network show, your lead-in show is key because a significant portion of your audience will continue watching the same channel after a show has ended. YouTube views are heavily driven by ‘Recommended Videos’. As any YouTuber with scale can tell you, a significant portion of viewers will not watch a video until the end. Once a viewer loses interest, they will click a ‘Recommended Video’ with an appealing thumbnail and title. And that click shows the power of impressions data. To find success on YouTube, the ability to make great content is a given. If you can’t make videos people want to watch you’ve already lost. But making quality content won’t matter if you can’t earn a click through your title and thumbnail. Your video will be a tree falling in the forest that doesn’t make a sound. The best YouTubers know how to make their falling tree create a sonic boom. They are experts in clickworthiness. Historically, whether or not content was clickworthy was determined through a measured lift in views on a piece of content in comparison to your average views. But that was insufficient. Your video could have been a ‘Recommended Video’ to a video that went viral, it could have been cross-posted on a popular site, or it may have shown up as a top result for a popular search term. It took a lot of investigation for results that were hazy at best. Now you can slice and dice impressions data to tell a lot of cool stories. Did you do a brand integration where the brand is incorporated in the thumbnail and title? You can brag about ‘Impressions’ for reach of the brand’s message, clickthrough per ‘Impressions click-through rate’ for audience affinity of the brand, and ‘Views’ because, you know, views are great. Impressions data provides more transparency for the entire viewership funnel and more opportunity to correct creative issues that occur before a view is earned. And, ultimately, it’s the best metric to show whether or not the idea of your video resonates. If potential viewers see the pitch of your video (the title) and the best visual representation of your pitch (the thumbnail) and they still choose not to click, you have failed. Your video is dead before it’s been watched. And that’s why: Impressions. Data. Is. Everything.